Autodesk® AutoCAD® - Print-O-Stat, Inc.
Design every detail with Autodesk® AutoCAD® software, one of the world's leading CAD applications. Create stunning 2D and 3D designs with innovative tools that are always up-to-date–and can produce almost any shape imaginable – with your personalized design solution. Simplified documentation and annotation features help you share precise drawings with ease. Work across the connected platform with desktop, cloud, and mobile solutions, all with the reliability of TrustedDWG™ technology: the original and most accurate way to store and exchange design data. 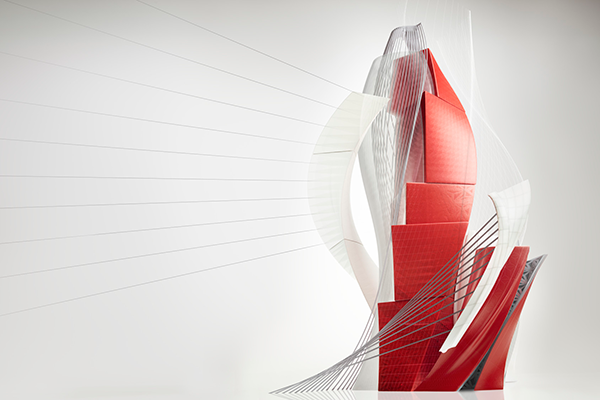 AutoCAD software — engineered for the future. Import PDFs - Import the geometry from a PDF file into your drawing as an AutoCAD object. Share design views - Collaborate with stakeholders by publishing your drawing views to the cloud. Smart centerlines and center marks - Use powerful new tools to create and edit them quickly and more intuitively. Autodesk desktop app - Get alerts on software updates, and access tutorials, content libraries, and more. Simplified documentation - Boost detailing work with tools that create measurements based on your drawing context. Connected design solutions - Connect your CAD workflow across desktop, cloud, and mobile solutions. Innovative 3D design - Design and visualize virtually any concept with 3D free-form tools. Personalized experience - Migrate your custom settings and files from previous releases.